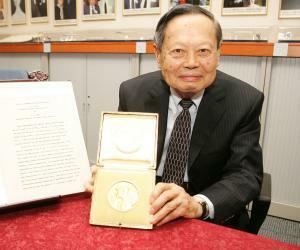 Chen-Ning Franklin Yang is a China-born American physicist who jointly received the ‘Nobel Prize in Physics’ in 1957. This biography of Yang profiles his childhood, life, research career, achievements and timeline. Chen-Ning Franklin Yang is a China-born American physicist who jointly received the ‘Nobel Prize in Physics’ in 1957 with another physicist Tsung-Dao Lee for their remarkable work on the violations of the principle of parity conservation. The duo became the first two Nobel Laureates from China. Yang’s area of work includes particle physics and statistical mechanics. Yang and Lee conceptualised and theoretically established that conservation of parity - one of the basic laws of quantum-mechanics which was earlier considered by physicists to be universal as the law of conservation of electric charge, energy and momentum, is violated in the nuclear procedure that result in emitting alpha or beta particles, that is to say in weak nuclear reagents. This discovery led to important alterations and refinements in the field of particle physics. They suggested that tau-meson and theta-meson, which were earlier thought of to be different particles due to their decaying by modes of differing parity, are actually same (presently called K-meson). Their theory was experimentally confirmed by fellow physicist Chien-Shiung Wu in 1957. Other significant contribution of Yang included development of Yang-Mills theory with Robert Mills that presently forms a major part of Standard Model in physics. His scientific contributions were recognised with several awards including ‘National Medal of Science’ (1986), ‘Benjamin Franklin Medal’ (1993) and ‘Albert Einstein Medal’ (1995) among many others. 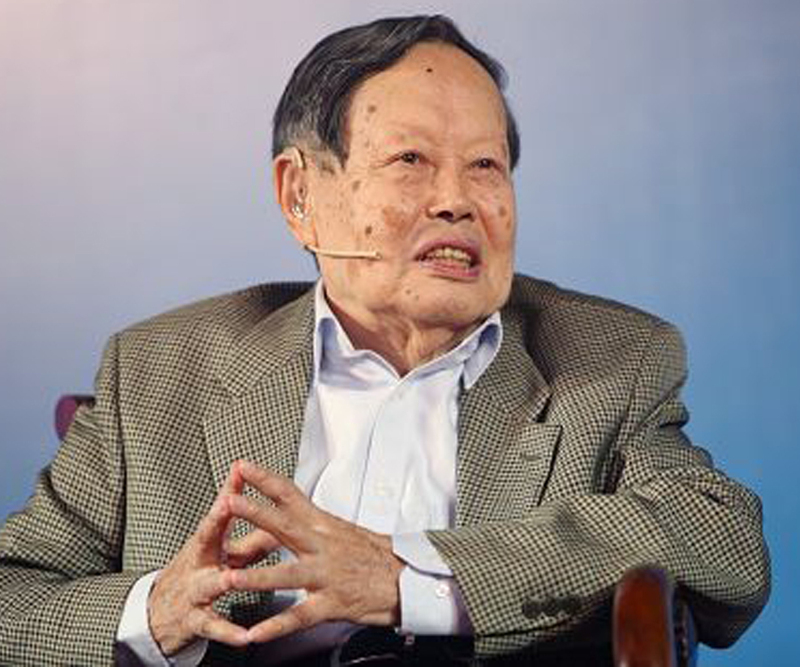 He was born on September 22, 1922, in Hofei, Anwhei, China, to Yang Wu-Chih and Luo Meng-hua as the eldest of their five children. His father served as Professor of Mathematics at ‘Tsinghua University’ in Beijing. He was raised in a serene and academically stimulated environment of ‘Tsinghua University’ campus. He completed his elementary and high school education in Beijing. Following Japanese invasion of China, in 1937 he moved with family to Hefei and thereafter to Kunming, Yunnan in 1938. He adopted “Franklin” as his first name after reading autobiography of Benjamin Franklin, one of the Founding Fathers of US. After clearing the entrance exam he enrolled at ‘National Southwestern Associated University’ from where he obtained B.Sc. in physics in 1942 completing his thesis on ‘Group Theory and Molecular Spectra’, which was supervised by atomic and nuclear theoretical physicist Ta-You Wu - renowned as "Father of Chinese Physics". He obtained M.Sc. in physics from ‘Tsinghua University’ in 1944 which by that time relocated to Kunming at the time of the Sino-Japanese War (1937-45). His M.Sc. thesis on ‘Contributions to the Statistical Theory of Order-Disorder Transformations’ was completed under the guidance of Professor J.S. Wang. 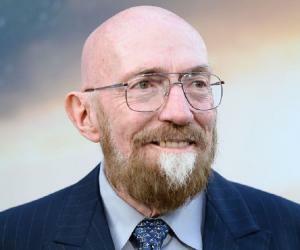 He received a United States government scholarship but could move to the US only after the war and in the meanwhile he studied field theory and also worked as a teacher in a middle school. In January 1946 he enrolled at the ‘University of Chicago’ where he was highly influenced by Professor E. Fermi. He worked on nuclear reactions and obtained PhD from the ‘University of Chicago’ in 1948, submitting his thesis ‘On the Angular Distribution in Nuclear Reactions and Coincidence Measurements’ under the supervision of theoretical physicist Edward Teller who is colloquially known as ‘the father of the hydrogen bomb’. After completing PhD, he worked as an assistant to Enrico Fermi at the ‘University of Chicago’ for around a year. He accepted invitation of ‘Institute for Advanced Study’ in Princeton, New Jersey in 1949, to conduct his research work at the institute. It is in this institute that he got reunited with Tsung-Dao Lee whom he knew from his Kunming days and this union witnessed a fruitful collaboration. In 1952 the ‘Institute for Advanced Study’ made him a permanent member and in 1955 he was made a full professor. In 1953 Lee left the ‘Institute for Advanced Study’ and joined ‘Columbia University’ in New York City, as Assistant Professor. However Yang and Lee remained closely associated and worked out a regime to meet once a week whether in Princeton or in New York City. In 1956 Lee and Yang turned their focus on a subatomic particle called K-meson that was discovered a few years back. The particle which appeared to be distinct confused physicists as it decayed in two different schemes such that the physicists were convinced of existence of two different types of K-meson - theta meson and tau meson. Lee and Yang concentrated on the extensive experimental evidences which indicated that theta meson and tau meson were same. The only conflicting issue that was preventing confirmation of the two being identical particles was that the two had opposite parity, one had even parity while the other had odd parity. After three weeks of intensive research in 1956 they concluded that in some form of reagents, parity is violated. They established that conservation of parity is violated in the nuclear process that results in emitting alpha or beta particles that is in weak nuclear reactions and suggested that tau-meson and theta-meson are actually same particles. As law of parity conservation restricts single particle from having decay modes displaying opposite parity, the sole plausible conclusion reached was that at least for weak interactions parity is violated. A series of experiments were suggested by them to test their hypothesis. On June 22, 1956, a paper titled, "Question of Parity Conservation in Weak Interactions” which mentioned the fundamental elements in the Lee-Yang theory, was sent to American peer-reviewed scientific journal, ‘Physical Review’. Chien-Shiung Wu, one of their colleagues conducted tests devised by them after about six months, first at ‘Columbia University’ and thereafter at the ‘National Bureau of Standards’ and validated their theory in 1957. Yang’s book ‘Elementary Particles’ was published by ‘Princeton University Press’ in 1963. 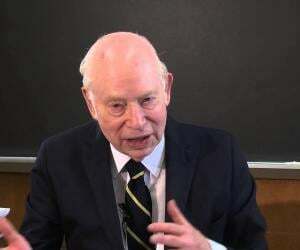 He is a prolific writer and many of his articles have found place in ‘The Physical Review’, ‘Bulletin of the American Mathematical Society’, ‘Chinese Journal of Physics’ and ‘Reviews of Modern Physics’. 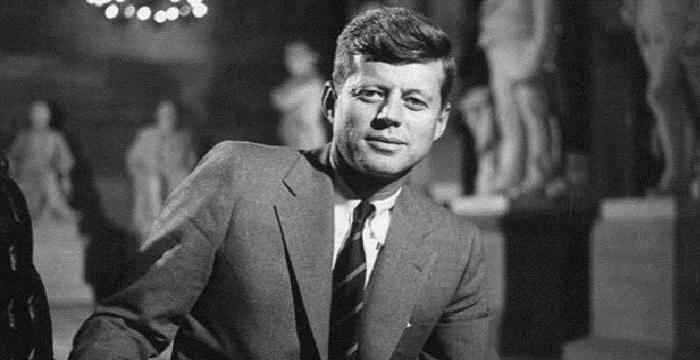 In 1964 he became a US citizen. 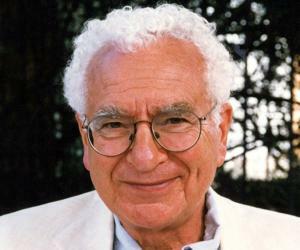 In 1965 he joined ‘Stony Brook University’ in New York where he became the Albert Einstein Professor of Physics. He was also made the first director of the newly established ‘Institute for Theoretical Physics’, which is presently called ‘C. N. Yang Institute for Theoretical Physics’. He was conferred honorary doctorates by ‘Princeton University’ (1958), ‘Moscow State University’ (1992), and ‘Chinese University of Hong Kong’ (1997). Post the thaw in China-United States relations, Yang visited China in 1971 and attempted to re-establish research environment for the Chinese physics community that was marred during ‘Cultural Revolution’. In 1999 he retired from ‘Stony Brook University’ and became Emeritus Professor. He became honorary director of ‘Tsinghua University’, Beijing, and holds position of Huang Jibei-Lu Kaiqun Professor at ‘Center for Advanced Study’ (CASTU). Yang is a Distinguished Professor-at-Large at ‘Chinese University of Hong Kong’ and is also present in the Board of Adjudicators for the ‘Shaw Prize’. 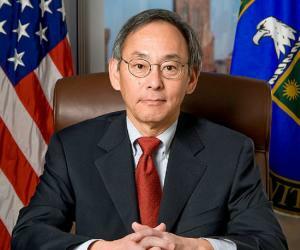 Yang has been elected Fellow of many academies and societies including the ‘Royal Society’, ‘American Physical Society’ and ‘Chinese Academy of Sciences’. In 1950 he married Chih-li Tu, a teacher. Their three children Franklin Jr., Gilbert and Eulee were born in 1951, 1958 and 1961 respectively. Following death of Tu in 2003, Yang married 28 years old Weng Fan in December 2004. He is an agnostic. In 2005 Yang was granted permanent residency in China where he presently resides. Stony Brook University’s newest dormitory building was named after him as ‘C. N. Yang Hall’ in 2010.